Oticon Medical is a global company in implantable hearing solutions, dedicated to bringing the magical world of sound to people at every stage of life. As a member of one of the world’s largest groups of hearing health care companies, we share a close link with Oticon and have direct access to the latest developments in hearing research and technologies. Our competencies span more than a century of innovations in sound processing and decades of pioneering experience in hearing implant technology. 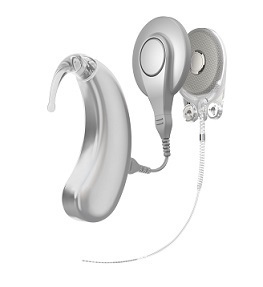 The Neuro system is the first cochlear implant system from Oticon Medical. It incorporates the company’s strength in implantable technologies with more than 100 years of hearing expertise and decades of practical experience and knowledge in cochlear implants. 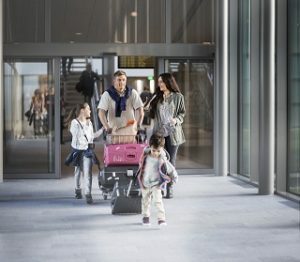 The resulting system combines the best of hearing instrument and cochlear implant technologies in an innovative new implant and a unique approach to sound processing. The ultra-thin and compact Neuro Zti implant has been designed to make surgery as simple and safe as possible. The implant is robust and reliable and can be adapted for high Tesla scanning, such as MRI. Once connected to the sound processor, Neuro Zti’s powerful technology platform lets you enjoy the full variety of sounds around you in the highest quality. 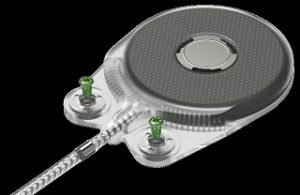 Furthermore, the Neuro Zti implant features an entirely new chip design that has the necessary flexibility and power to work with current and future advanced sound processors from Oticon Medical. This means that as new sound processing technology becomes available, your system can be easily upgraded to continue to deliver an unparalleled hearing experience. For a cochlear implant user, each day brings new listening situations. The Neuro One sound processor uses Oticon’s advanced technology with automatic features and innovative sound processing – also called Coordinated Adaptive Processing . This aims to give you better understanding in all surroundings so you can effortlessly take an active part in conversations everywhere you go. Electronic devices have become a natural part of modern life – both for work and play. Using Bluetooth® technologies, you can wirelessly connect your Neuro One sound processor to mobile phones, television, music players, and other popular communication devices, for better and clearer sound. Neuro One also offers a robust and comfortable design, user-friendly handling, and a wide variety of colours.